On QB this week it's all about food, so it was only a matter of time until we got to one food selection that we all know and love... CAKE! As far as applause-worthy moments go, the cutting of your wedding cake is right up there with your first kiss as newlyweds. So, will this attention-grabbing confection be a surefire classic or something a little nutty? Foolproof fruit or decadent choc-mud? 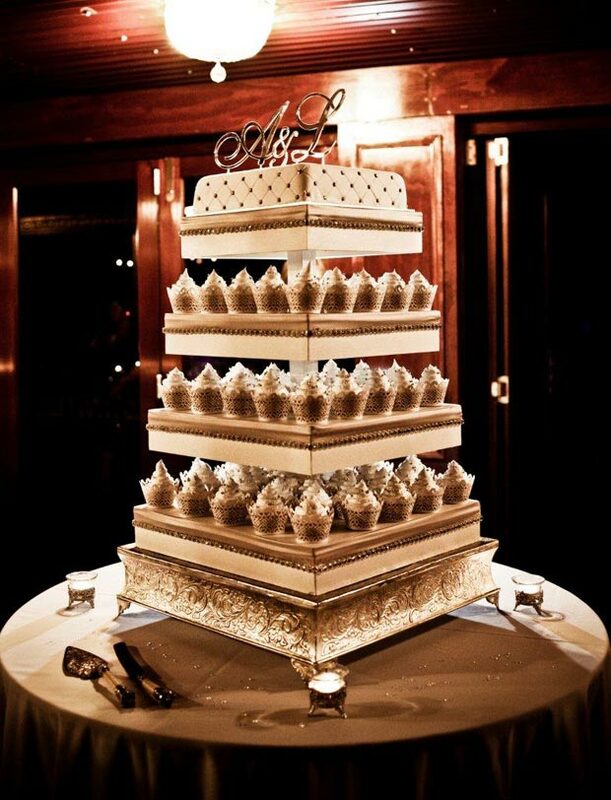 Two tiers or a tower? Here’s a few delicious tips to ensure sweet success in the cake stakes. 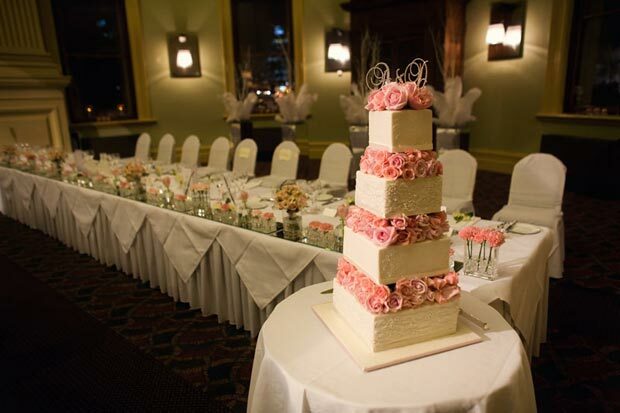 With all the fussing and fretting over gowns, guest lists and gourmet fare, you could assume that when planning your wedding and reception, organising the wedding cake would come way, way down on the list of important things to do. In fact, next to the ceremony itself, the wedding cake has pride of place in the annals of wedding history. As far back as 5000 years, the marital customs of the ancient Greeks and Romans included a very basic form of the contemporary cake, as a means of appeasing the household Gods. It was hoped that they would then bestow their blessings on the impending marriage. In Elizabethan England, whole kernels of wheat were tossed on the bride as she left the church, as portents of fertility. Indeed throughout history and across many cultures, there seems to be a habit of thrusting cake or cake substitutes at the bride. Funnily enough, this rather messy exercise actually symbolised a couple’s union and intention to share all of life’s offerings. Still today, the wedding cake conveys the same message. So for all those who require clarification, it is not for want of extra cutlery that the bride and groom wrap their fingers around the one knife and cut the cake together! Which cake is the right cake? 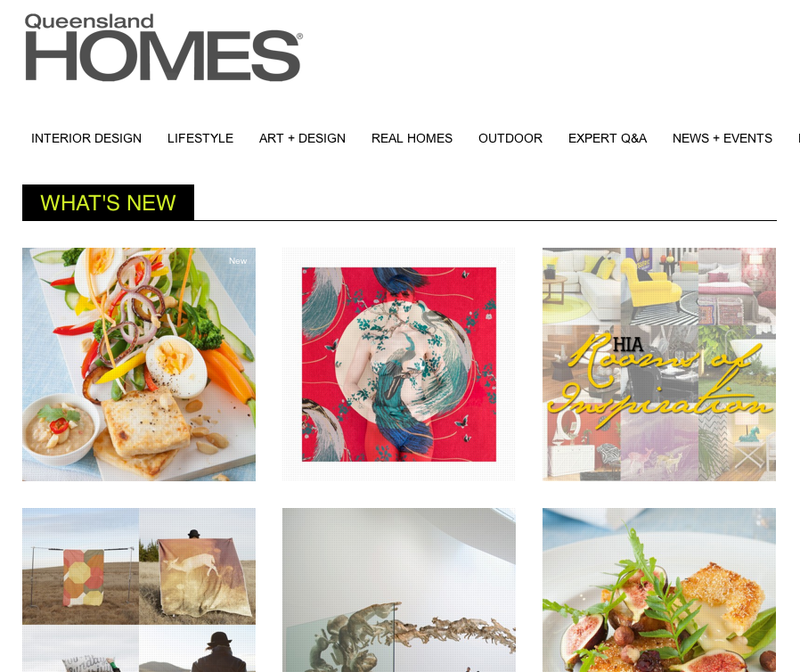 Certainly, there is a range of traditional options that will have the problem licked before you’ve even given it a second thought. For instance, the two-tiered fruit cake — enveloped in sticky, sweet marzipan icing is a surefire winner, particularly among wedding stalwarts. However, there are also countless, less customary cake selections to wade through, before setting your decision in stone. 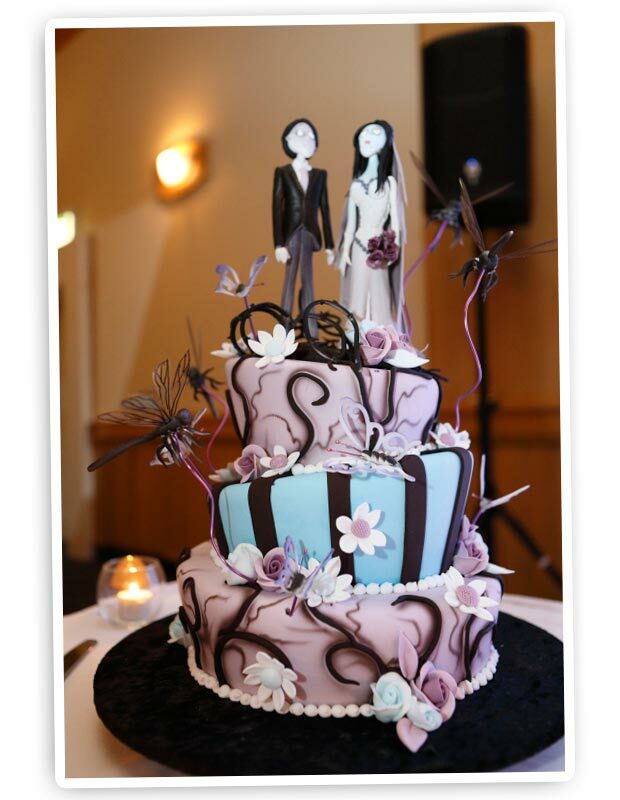 At this point, it is only fair to warn you not to be fooled into thinking that because the cutting of the cake is usually the last of a reception’s formalities, the details won’t really matter. 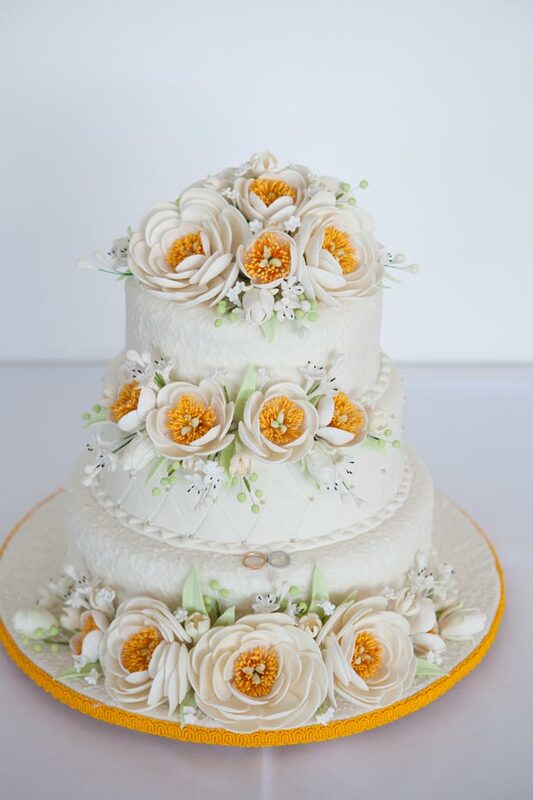 As well as being a symbol of the couple’s sweet future together and marking the end of the reception’s formalities, the wedding cake has become a gastronomic and visual spectacular. Forget the home-baked oatcake option of yesteryear, current expectations will have you searching for a positively sublime confection that not only stimulates the tastebuds, but also looks superb in the snaps, cuts like a dream, expresses your personal style, meets your budget and doesn’t clash with your dress. 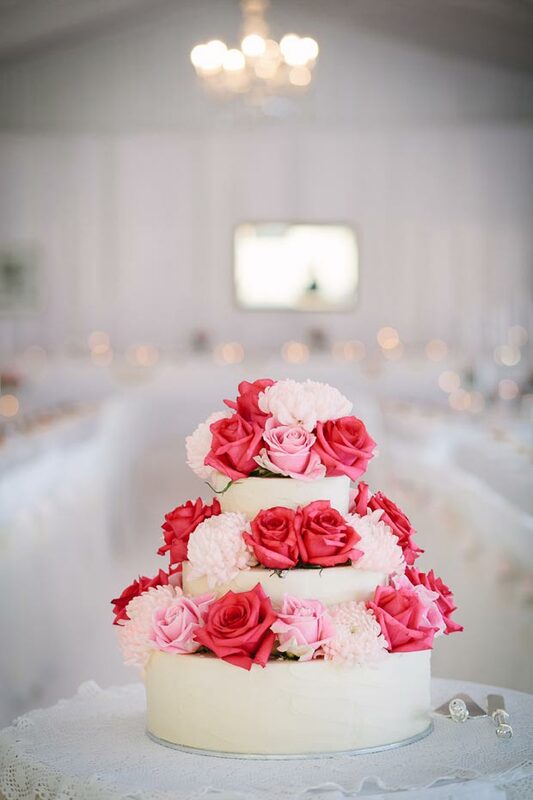 By now, you can probably see how cake selection is as time-consuming and crucial to the success of your reception as selecting the wines to accompany the courses. 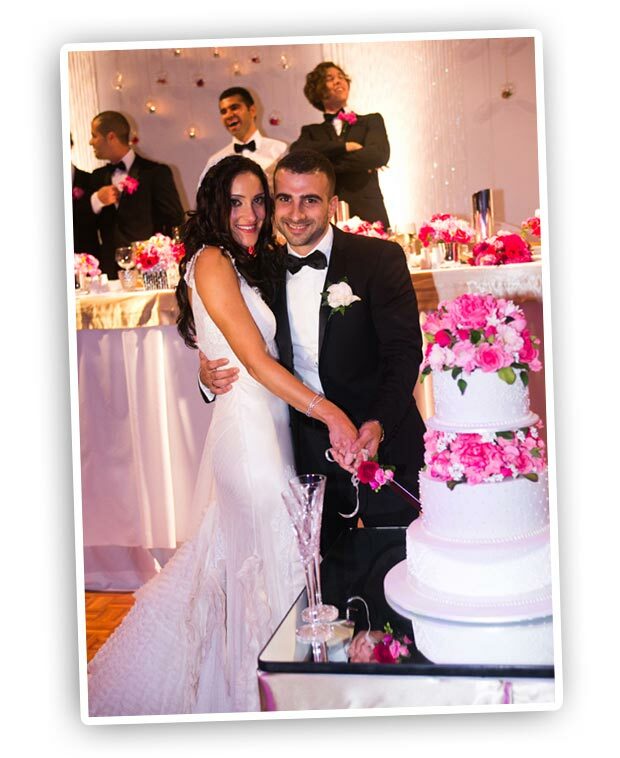 For this reason, it is wise to order your cake at least three months before the big day; having taken into consideration its size (dependent on the number of guests), style, icing and decorations. Depending on these variables, the seemingly humble gateau can cost anywhere between $200 and $3000. Remember also, that the average two-tiered torte serves about 100 people. 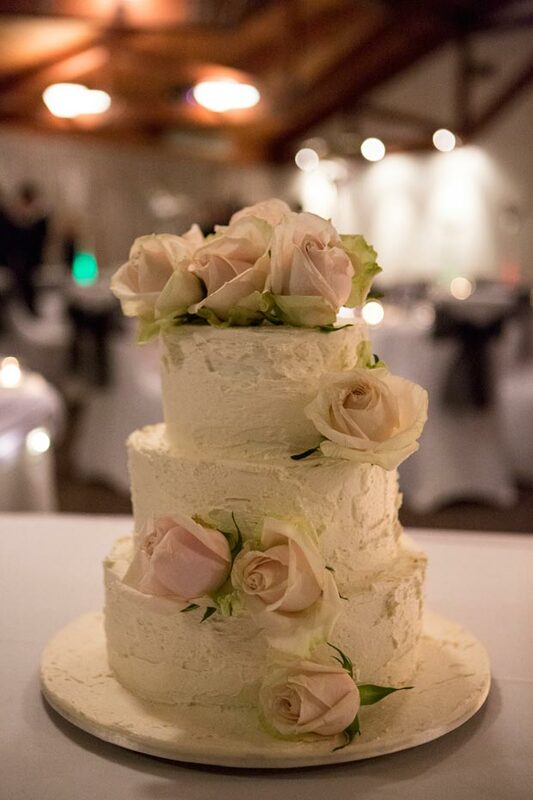 With a view to cost cutting, many couples choose to serve the cake for dessert and, while this should save you money on catering, check first that your reception venue doesn’t have a ridiculously high plateage fee! 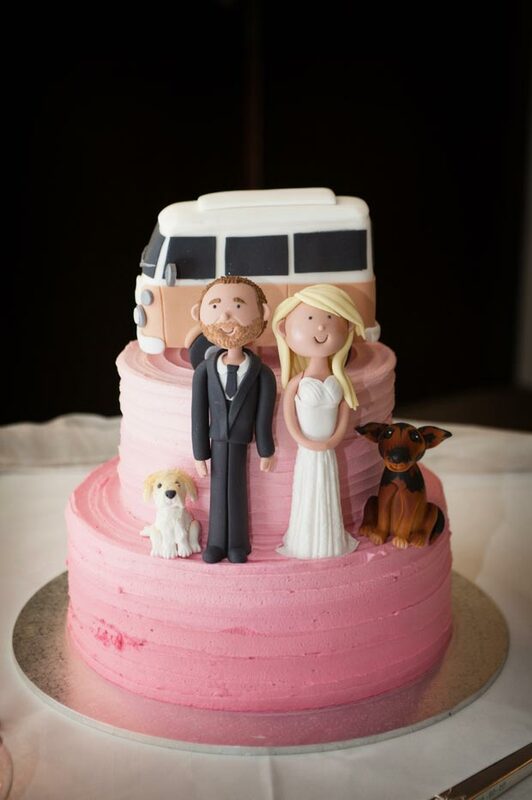 In terms of the look of your wedding cake, absolutely anything goes. From heart-shaped to three tiered and vanilla iced with cascades of orange blossoms, to chocolate frosting, topped with blood red sugar roses, the possibilities are endless. By the time you’ve finished consulting everyone from the chef to your partner’s great aunt thrice removed, your mind will be awash with decorative ribbons, gold leaf angels and plastic images of you and your beloved (please, no!). In the meantime, the family has no doubt reached an impasse over Gran’s famous fruit cake — a recipe that dates back to the Tudors and requires almost as many generations to make – and a nouveau chocolate mousse, with or without fruit, custard and all the trimmings. If it’s any help, there is a gradual movement away from the traditional two-tiered fruit cake and the croquembouche which, while sentimental favourites, tend to cater for only a niche market of guests. So, why not go against the grain and make cake selection a teeny bit more enjoyable, by considering you and your partner’s personal tastes. For instance, you could stick with the two-tiered tradition, but mix a layer of chocolate truffle with one of carrot, banana or cheesecake. 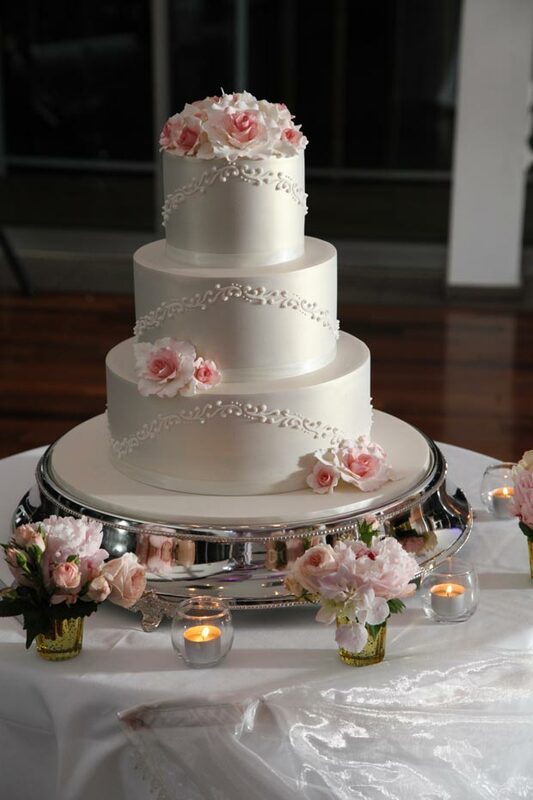 With multi-tiered styles, you can also uphold the romantic custom of serving the bottom tier to guests and keeping the top one for your first wedding anniversary or the birth of your first child (whichever comes first). Here, the old fruit cake does win merit points for longevity, but your cake specialist should be able to advise on storage methods for most other cake types. 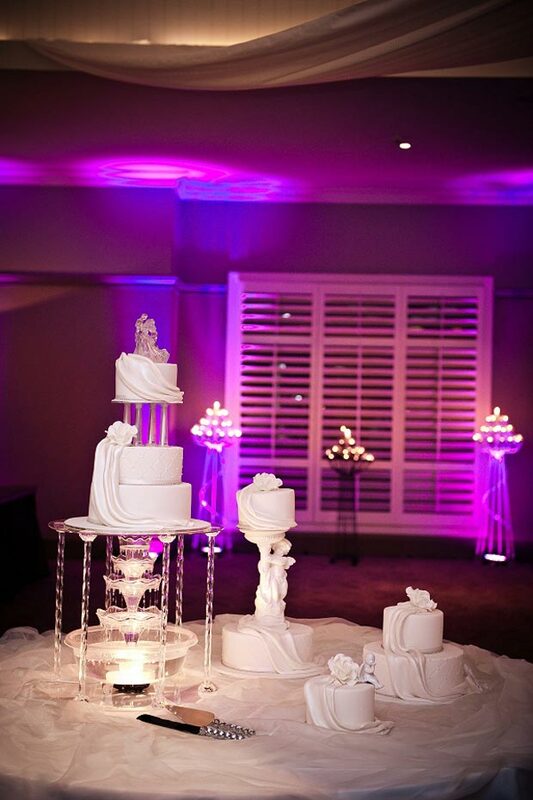 Forget getting the bride to the wedding, get the cake to the reception! 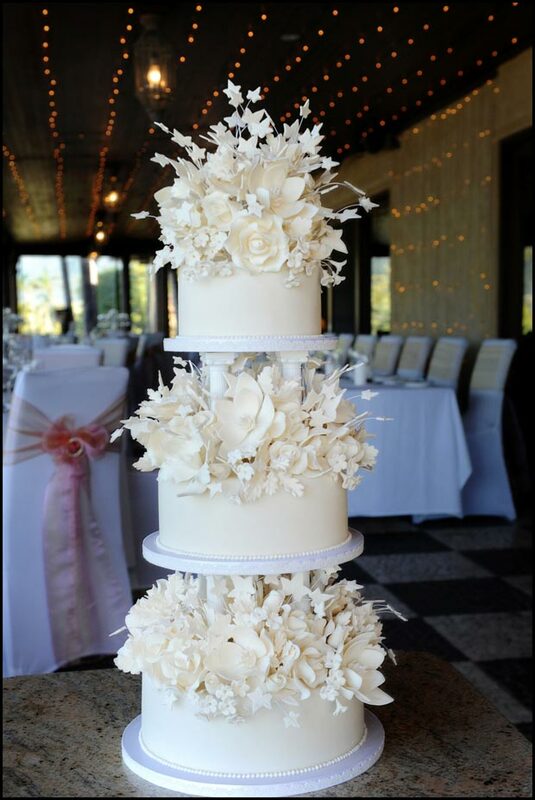 You should also arrange for your cake’s creator to bring this key confection to your reception, as they know the best way to transport it. They can also perform any necessary touch-ups, in preparation for its big debut. 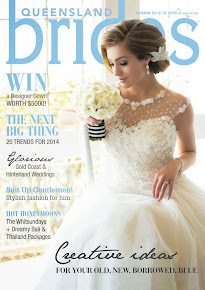 The rule of thumb when planning your wedding day is generally, elegance through simplicity. However, in the cake department, we give you licence to purge your over-the-top fantasies, go a little crazy with the decorations and, most importantly, try before you buy! So allow for some extra inches in that wedding dress or tux and nosh down on some of the melt-in-the-mouth morsels on offer; an extra dollop of double cream on the side for good measure! 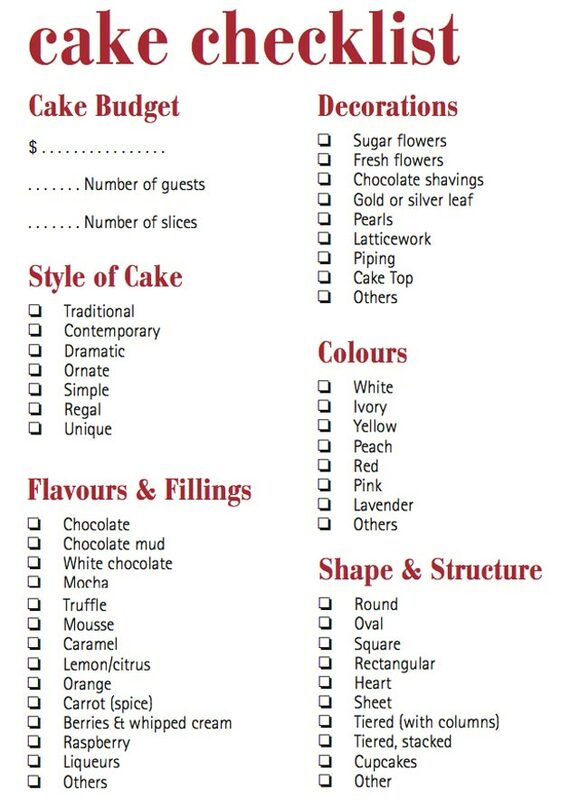 Here's a helpful list of items to check off to help you decide on the right cake for you.